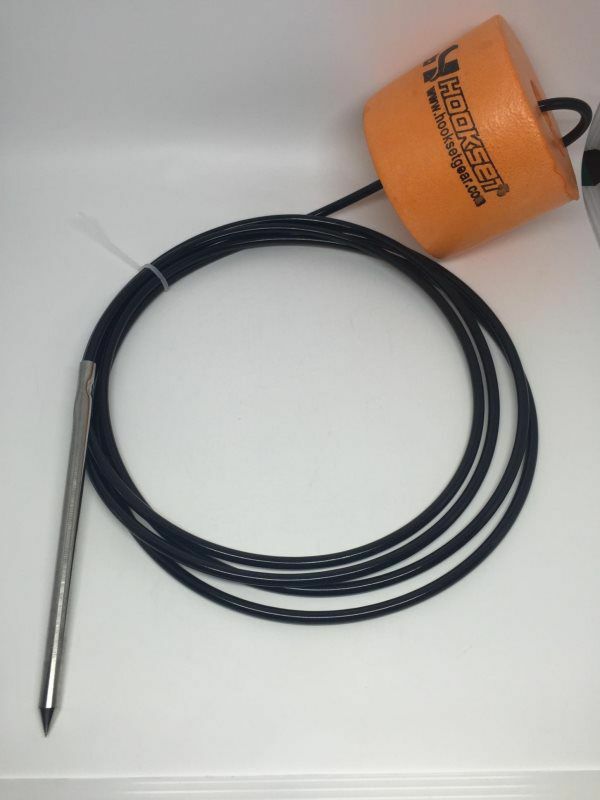 At 10’ long, using the same high quality stainless steel spike and tip as our Pro-Series stringer, the Flats Series stringer includes our standard Hookset commercial float, quick release float connection, and a heavy duty, vinyl coated stainless steel cable that will provide years of service. The stringer material is completely slick with no texture, so fish slide on and off with ease. Little to no memory, and heavy enough to prevent the crimping and knotting found in lesser stringer offerings on the market. 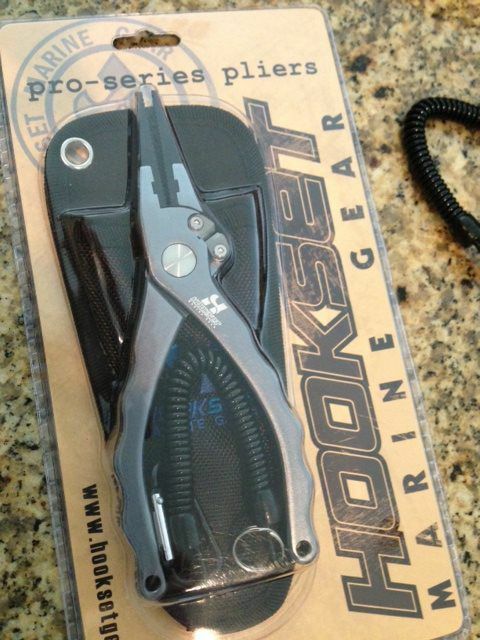 Hookset Pro-Series Aluminum Pliers make the perfect addition to your arsenal of fish slaying weapons. Stop buying disposable pliers! Get it. 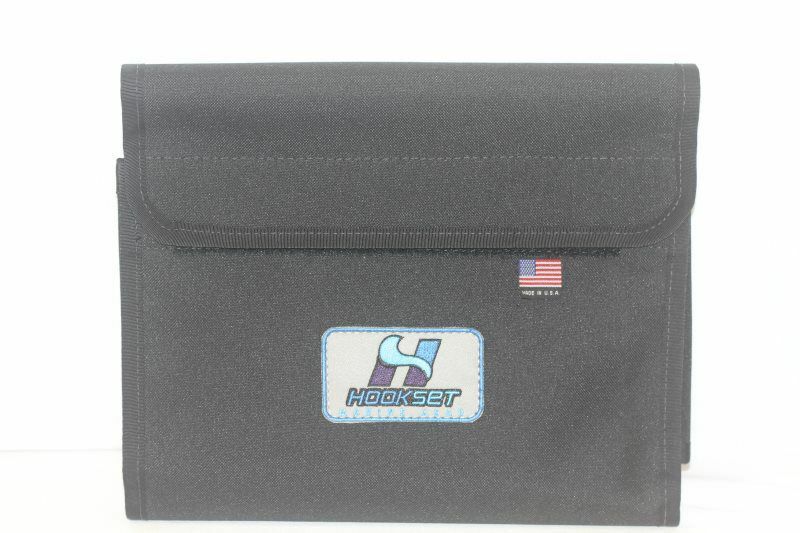 Hookset Marine Gear Over the Shoulder Wading Box includes a large Plano Hydro-Flo box for toting your favorite plastics, topwaters, corkies, spoons and jigheads while wading. Each box is built with heavy duty strap with no slip pad and constructed using stainless and aluminum rivets and washers designed to withstand the harsh saltwater environment. Grab your box and step over the side! Finally, a wading belt designed to last! The 4” and 6” Support Wading Belts from Hookset Marine Gear are designed by fishermen and built to last. Each belt includes your choice of 4” or 6” wide back support designed to add comfort on those marathon wades. Back support features a velcro loop to hold your coiled stringer before use and an additional D-ring for attaching BogaGrip, landing net or your floating fish basket. Also included is one stringer sheath and plier holster with 2 additional stainless steel D-rings. Our unique no slip, adjustable closure clasp allows simple resizing as you move from neoprene waders, to breathable waders, to wet wading each season. We’re confident that you will not find a better wading belt on the market today. 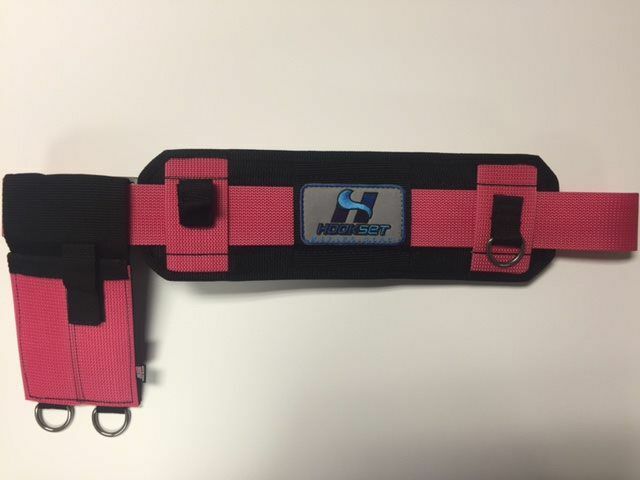 Hookset offers an optional bag attachment for our Pro Series belt that slides on the belt in any position you choose. The bags are able to hold either one (single) or two (double) Plano tackle boxes. See options in drop down menu. The new standard in saltwater and freshwater stringers. 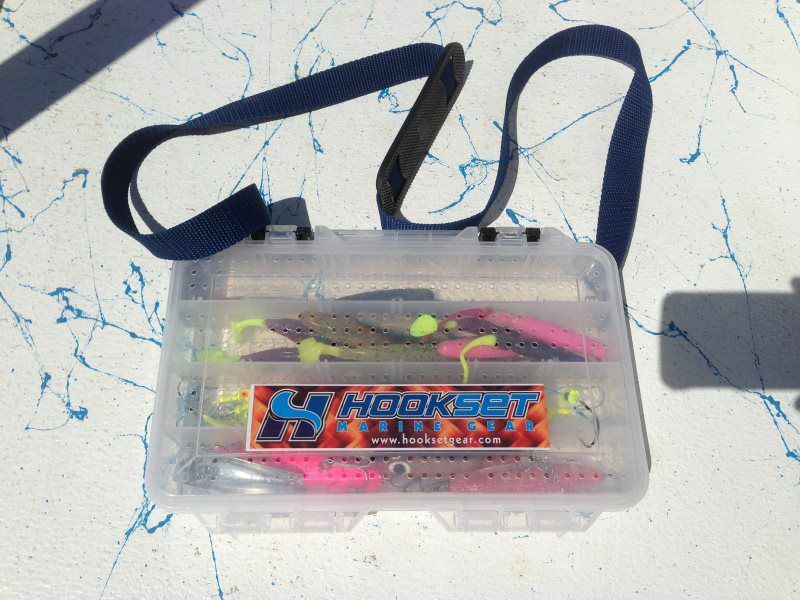 Hookset Marine Gear Pro Series Stringers are available in standard 10’or 15’ lengths. Our Pro Series stringers are made of a polyurethane reinforced cord with a stainless spike and commercial grade float. 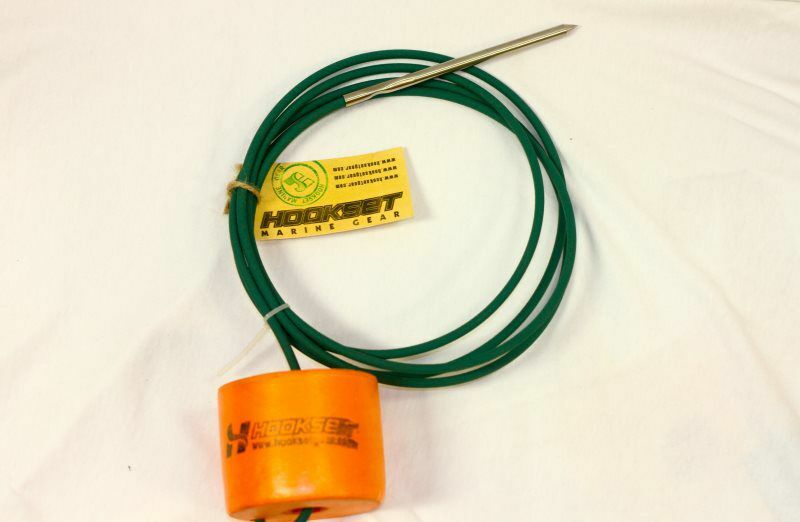 UV coated Hookset Marine Gear stringers will not stretch, do not float, have very little memory and are slick enough to remove fish with one shake from the float end. Spikes at solid one piece 316 Stainless Steel for a lifetime of corrosion free use.